Photo courtesy of Israel Antiquities Authority. 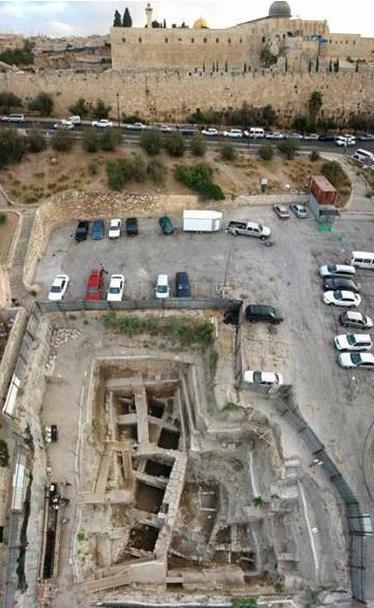 In Dec. 2007, archaeologists digging in the City of David area announced that they had discovered the ruins of a large building. 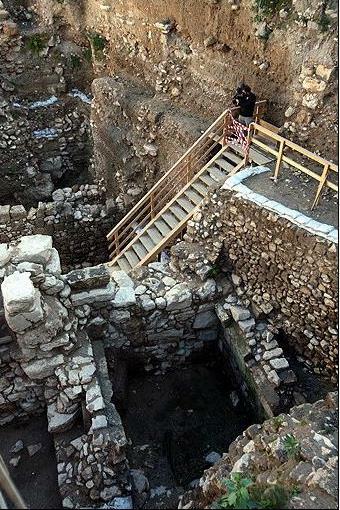 Archaeologist Doron Ben-Ami said the structure likely belonged to Queen Helene of Adiabene. 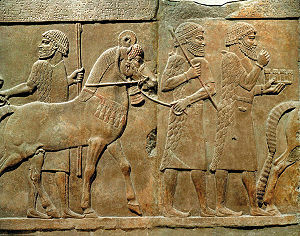 According to Josephus, Queen Helene converted to Judaism and left Adiabene (now in Northern Iraq) to settle in Jerusalem. She built three mansions in Jerusalem. No other structure of this size has been found in this area. In addition to being mentioned in Josephus’ works, Queen Helene appears also in the Mishnah (in connection with her donations to the poor and the Temple) and in both the Jerusalem and Babylonian Talmuds. The building includes storerooms, living quarters and ritual baths, and was located in the poorer section of Second Temple Jerusalem. According to Josephus, Queen Helene’s family was the only wealthy family to live in this neighborhood. The mansion was destroyed during the destruction of Jerusalem in 70 CE.